The sales of Lexus LS 460 and LS600h was stopped for three weeks as experts from Lexus must find a way to repair a problem of power steering. 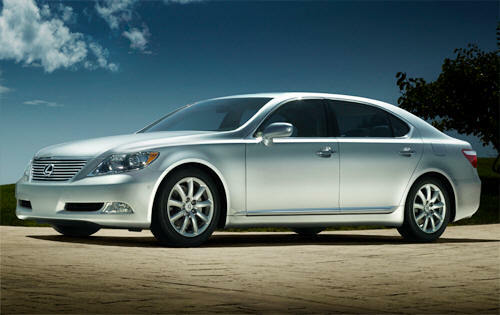 The Japanese from Lexus temporarily halted the sale of Lexus LS 460 and LS 600h and announced a recall for the two models. The problem lies in the electronic steering, which can cause temporary problems for the steering wheel and the steering wheel returns to the normal position after about five seconds. Toyota has launched a recall for the models with the same system last week and now came the turn of Lexus to take such measures. About 3,800 Americans Lexus owners are affected by this recall. The people at Lexus recommends customers to not spin sharply the wheel if they have taken up in a direction. Thus, if we have hypothetical situation in which take the steering wheel at maximum left and perform a maneuver short, those of Lexus advised not to suddenly rotate the wheel in the opposite direction because we may have problems with it return to normal.